At 200 am PDT the center of major Hurricane Emilia was located near latitude 13.5 north/longitude 113.0 west. Emilia is moving toward the west-northwest near 19 km/h and this general motion with a slight decrease in forward speed is expected over the next couple of days. Maximum sustained winds are near 220 km/h with higher gusts. Emilia is a category four hurricane on the Saffir-Simpson hurricane wind scale. 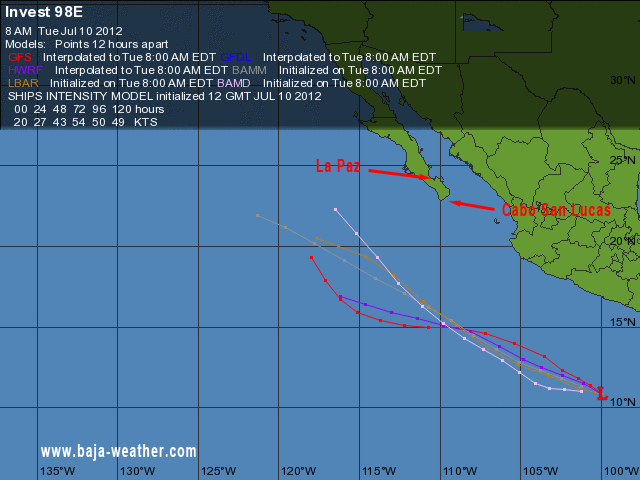 Daniel continues to gradually weaken. 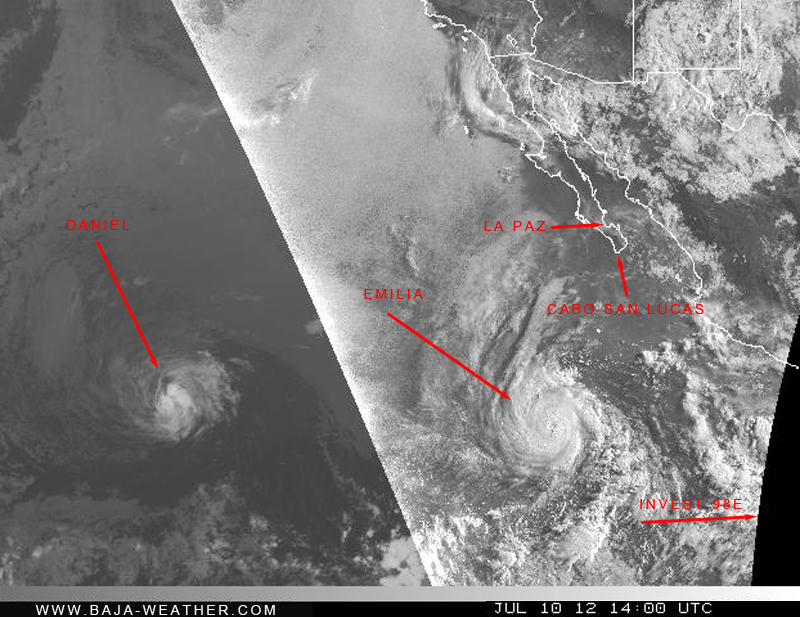 At 800 am PDT the center of Tropical Storm Daniel was located near latitude 15.3 north/longitude 135.1 west. Daniel is moving toward the west near 26 km/h and this general motion is expected to continue over the next few days. System "Invest 98e": Cloudiness and showers associated with a broad low pressure system located several hundred miles south of Acapulco, Mexico have changed little in organization over the past several hours. Conditions appear conducive for slow development of this disturbance over the next few days as it moves west-northwestward near 10 mph. this system has a medium chance, 40 percent of becoming a tropical cyclone during the next 48 hours.